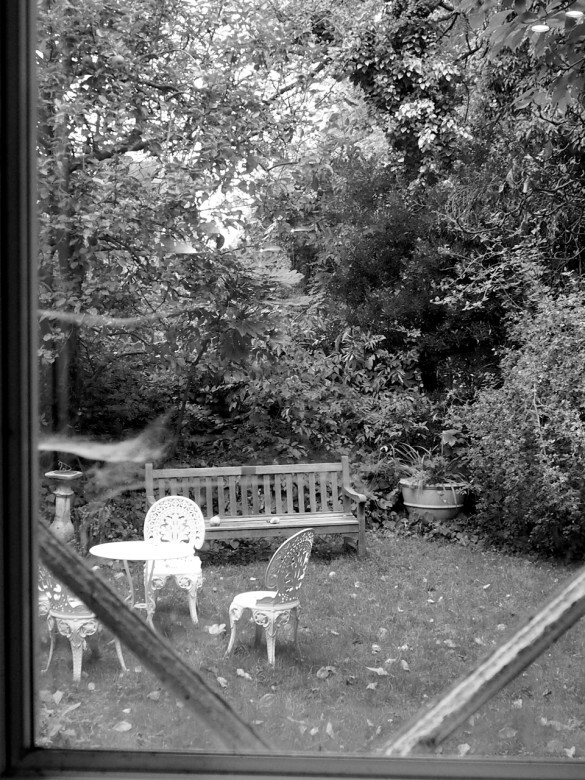 Garden view from Craxton Studio’s London, photo by Pia Palme. The composition won the George Butterworth Prize 2016! as part of the Sound and Music Portfolio Project. The composition was further supported by the Kulturabteilung der Stadt Wien Musik and the BKA Austria. 17th October 2015, The Warehouse, London. In Part I the soprano performs a virtuosic solo part, which is written to highlight the soprano voice – whilst the three male voices provide a shifty microtonal background of hushed activity. In Part II all four singers perform a microtonal partsong together, ending with the whispered word Staub (German for dust). In the text for this work, I discuss the category ‘beauty’ from an artistic perspective. For me beauty is represented in texts, words, music, artwork… I was never interested in beauty, or beautiful appearance, as a woman. Why should I care about visual beauty, fashion, shoes or a hairstyle? That’s a prison to keep you busy in (I cite the Austrian author Elfriede Jelinek here). As a composer, I appear through my works, in this case, compositions. My text was inspired by the Mexican author Sor Juana Inez de la Cruz; she argued along the same line, as a writer, in the Baroque period. The baroque ornament mordent is frequently used in this piece to enhance singular notes in the soprano part. I wanted to compose a quick and subtle aural accent, which might cause an aural twinkle that would cut, bite or sting through the mechanisms of listening, to open up a glimpse of another dimension. The text for the soprano summons the thorns of a rose, shards of glass, or the penetrating power of love and madness to punctuate reality and skin. Etymologically, the words mordacious and mordent originate from the same source, the Ancient Greek term σμερδαλέος ‘smerdaleos’ — painful, horrible. One could go further back to the ancient Indo-European ‘(s)merd’ — to bite, to sting. The German word ‘Schmerz’ — pain is also connected to this origin, as well as the English term smart. As a feminist composer, I find these connections stimulating. is a collage composed of English verbs, found in selected editions of the The New York Times International Weekly during the period of composing. The verbs were excerpted from articles spanning a wide array of themes, and their grammatical appearance was left unchanged.